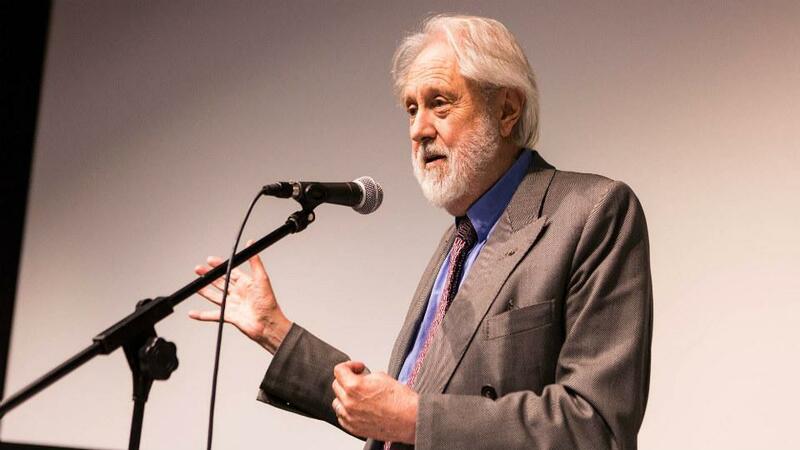 Public service broadcasting must be properly funded and remain fully independent in order to provide a “bulwark” against fake news and “ill-informed populism”, Lord Puttnam has said in a new book from Goldsmiths Press which addresses the future of television. The Oscar-winning film producer argues that in an era of “alternative facts and online trolls our public service broadcasters stand as guarantors of accurate, informed and impartial information”. Writing in the foreword to A Future for Public Service Television, which is published today, Lord Puttnam adds that “our need for trusted sources of information, comprised of tolerant balanced opinion, based on the very best available evidence, has never been greater”. Lord Puttnam says that the truly successful societies of the 21st century will increasingly be those in which the provision of news and information is “rapid, accurate and trusted”. Published by Goldsmiths Press, the university press housed at Goldsmiths, University of London, A Future for Public Service Television reflects on how publicly-funded networks like the BBC and Channel 4 can adapt and thrive in the 21st century media landscape. The book summarises and expands on the report of the Puttnam Inquiry and includes freshly commissioned chapters from a range of leading TV theorists and commentators including Mark Thompson, Amanda Lotz, Tess Alps, Paddy Barwise, Matthew Powers, Jennifer Holt, Jon Thoday, Trine Syvertsen, Gunun Enli, Sarita Malik, David Hendy and James Bennett. It also includes submissions to, extracts from, and transcripts of the Puttnam Inquiry including contributions from Lenny Henry and Ken Loach. The collection, according to its editors Professor Des Freedman and Dr Vana Goblot, “is designed to highlight some of the key challenges that face television in a digital and volatile media landscape”. The launch of A Future for Public Service Television is taking place at the British Academy on Wednesday 18 April 2018. The launch event will include contributions by Lord Puttnam and Professor Georgina Born as well as a short Q & A with contributors and editors. A drinks reception will follow. To book your free ticket, go to Eventbrite. In principle, we welcome the draft Charter’s support for a well-funded, independent and innovative public service broadcaster. We are delighted to see that the government has dropped its original plans to set up a new unitary board dominated by government appointees. We would like to think that the proposals we commissioned from the former Commissioner for Public Appointments, Sir David Normington, setting out a series of tests to ensure a truly independent board, contributed to this welcome shift. We are also pleased that the Charter highlights the importance of ensuring BBC content remains free at the point of use, as well as its recommendation that it needs to better represent the diverse communities of the UK. We remain concerned, however, that the draft Charter fails to fully safeguard the BBC’s independence, both in terms of funding and governance, and continues in its determination to see regulation of BBC content and services in relation to the wider media market. We look forward to making a fuller assessment of the Charter and Agreement in due course. Sir David Normington, former commissioner for public appointments, outlines his proposals for appointing the BBC Board. See Appendix One of the Report or access the proposals here. “The decision by Rona Fairhead to stand down as chair of the BBC after she was asked to re-apply for the post, provides further evidence, were it needed, of the need for a robust, independent and transparent appointments process. Our Inquiry into the future of public service television addressed this issue by asking Sir David Normington, the former Commissioner for Public Appointments, to devise a process that would safeguard independence and prevent any suspicion of political cronyism. He came up with a number of tests which we believe ought to be applied to the appointment of all board members, those of the BBC and the Government, not least because the new unitary board sits so close to the operational and editorial centre of the Corporation. 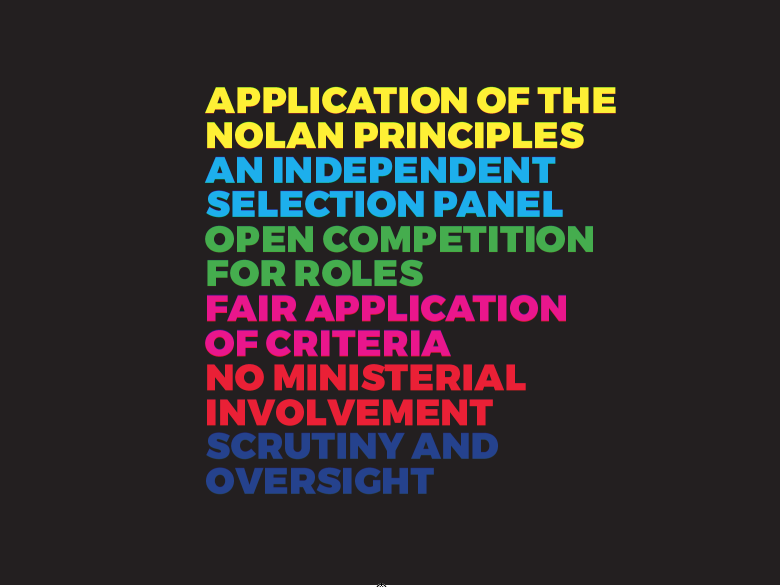 It’s my most sincere hope that the appointments process will take on board Sir David’s well-thought-through suggestions: that the process should be open and fair; adhere closely to the Nolan Principles; be subject to official scrutiny and, to the greatest degree possible, reduce all forms of ministerial involvement.